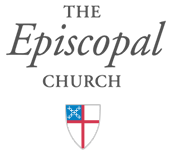 The Episcopal Church Foundation has numerous Vestry resources including webinars, guides, and brochures. To visit their website, click here. The Vestry Resource Guide is available in English or Spanish, and in both print and e-book formats. Vestry Resource Guide is distributed by Forward Movement and can be ordered at www.ForwardMovement.org or by calling 800-543-1813.